Vintage Neiman-Marcus Sterling Silver Toothpick in Case - ESTATE - The sterling toothpick made for Neiman-Marcus in a black case to fit, making it convenient to carry along. It's the perfect gift for the unique person. It's the size of a regular round toothpick. Condition: Excellent commensurate with age and gentle use. 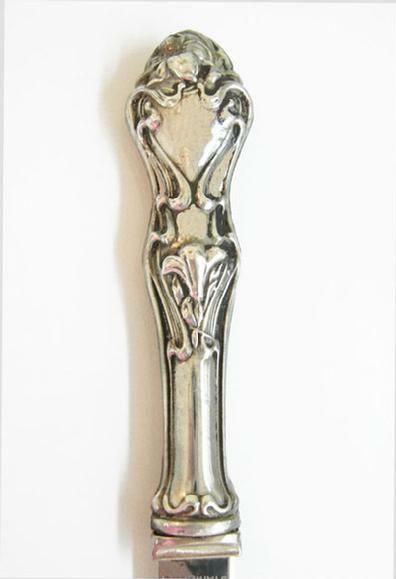 Beautiful Sterling Silver Art Nouveau Letter Opener - the sterling handle decorated in a typical Art Nouveau style with flowers. 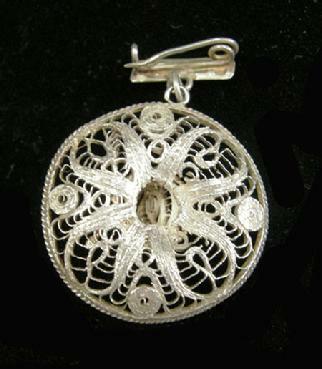 It's marked Sterling and is in excellent condition with some minor scratches as would be commensurate with age and use. It's a beautiful piece! Width: 1" in width at the widest point. 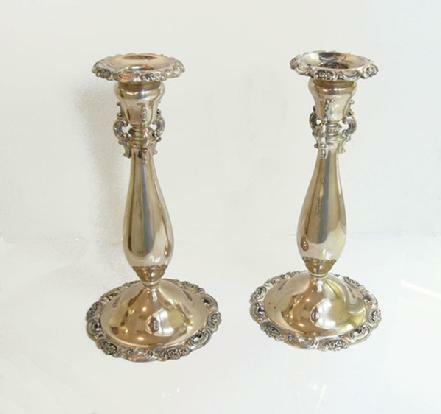 Elegant Pair of Vintage Baroque Silverplate Candlesticks - 1941 - ESTATE - Manufactured by the Wallace Sterling Co. 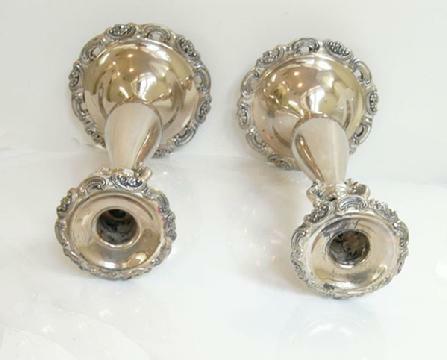 The pattern was made to complement the GRANDE BAROQUE pattern of sterling silver flatware produced by Wallace & introduced in 1940. One of the pair is clearly marked "BAROQUE" ( in script) & WALLACE SILVERPLATE and the initials FPC 9 on the bottom of the foot, the other is marked as well, but harder to see. 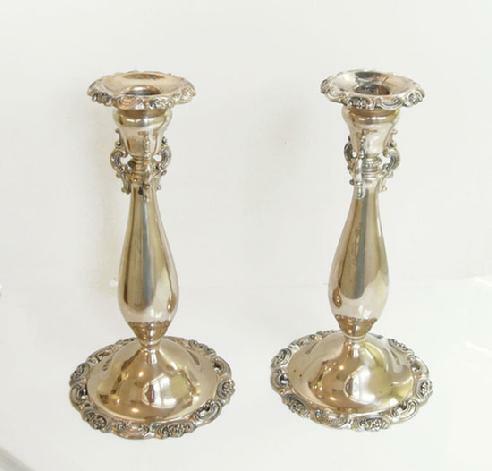 Condition: Very good as would be commensurate with age and use, each with a tiny ding on the base, some minor scratches, and some wear around the candle receptacle on one, which in no way comprises the integrity of the pair. Add elegance to any setting. 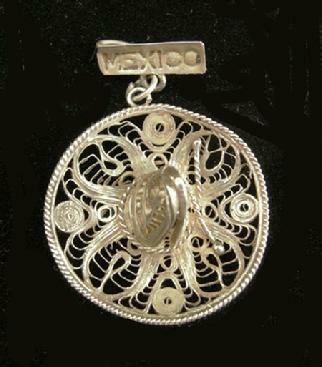 Beautiful Antique Mexican Silver Filigree Sombrero Hat Pin - 1940's - Fabulous detail and workmanship - the silver filigree sombrero tied with a tassel and suspended from a bar stamped with the word 'Mexico'. Condition: Excellent as would be commensurate with age and gentle use. Diameter of Hat: 1 3/16 in. 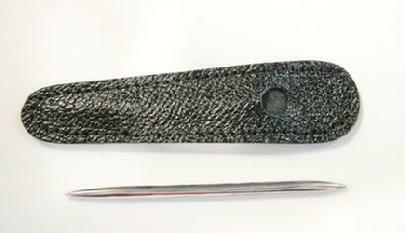 Total Length: 1 5/8 in.